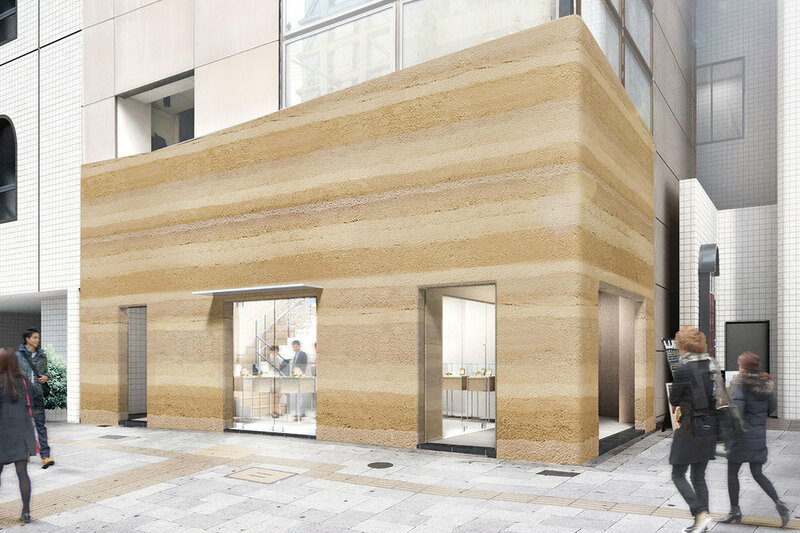 This is the competition proposal for a jewelry shop located in Shinsaibashi of Osaka. It is required to achieve differentiation from the other luxury brand shops and while creating an unwearied new design. We reinterpreted natural soil-which is not used in this area- and tried to ease into the surroundings. The earthen walls called hanchiku are made by layering different types of soil with cement. The city consists of a striking combination of artificial building materials like steel, aluminum, concrete, and glass. We considered how the soil intensifies the design.